Samsung’s foldable smartphone is expected to be showcased behind closed door this month during Samsung’s Developers Conference in San Francisco, but the odds of it being officially announced are low. The most recent information suggests that the phone will launch early next year. According to the a new report the phone will be called Galaxy F (probably “F” for “foldable”) and carry a model number SM-F900U – pretty similar to the Galaxy S lineup naming scheme. The report also mentions that pre-production units are tested in the US with software build number F900USQU0ARJ5 . It also suggests that the handset will feature a unique version of Android UI, which is developed in partnership with Google. 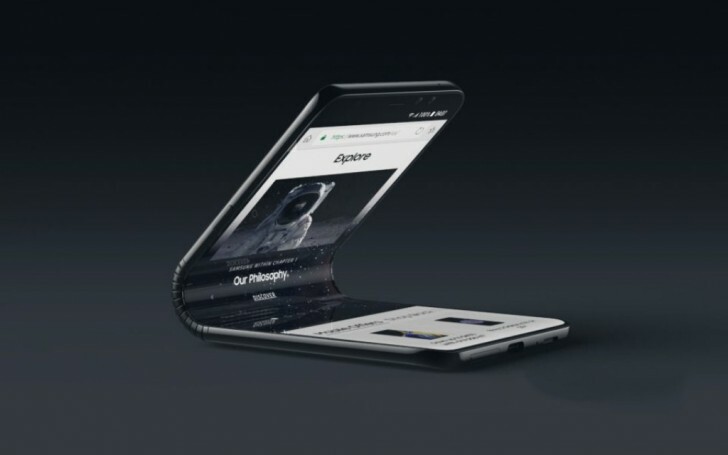 Devices with model numbers SM-F900F and SM-F900N have also been thrown around possibly aimed for the European and Asian markets, which is a strong indication that the foldable smartphone is going to be globally available. Samsung seems to keep a tight lid on hardware specifications and the only piece of unconfirmed intel is that the Galaxy F will boast 512GB of internal storage. No wonder analysts predict pricing in the $2,000 ballpark. But we need to remain vigilant as the sources are unconfirmed and the leaks could possibly be about the upcoming gaming phone that Samsung is prepping.